I read this yesterday morning and I just had to share it with all of you. This is from Pastor Greg Laurie of Harvest Ministries. I can remember when I became a Christian in 1971 and how exciting those times were. But I have to say that there is nothing like the days we are living in now where we can see Bible prophecy coming true before our eyes at an alarming rate. I hope that you enjoy his post as much as I did!!! Maranatha!!! 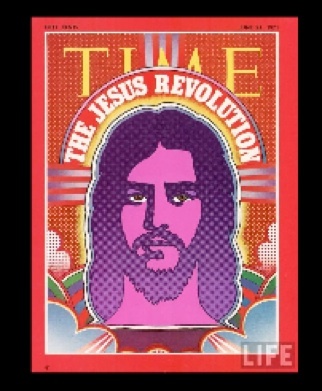 When I became a Christian in 1970, the Jesus Movement was in full swing. A lot of young people were coming to Christ. There was a great deal of talk about the soon return of Jesus. It was very common to see bumper stickers on cars with slogans that read, "In case of Rapture, this car will be unmanned" or "Jesus is coming!" I don't know how many of those I have gone through, but quite a few. And still He hasn't come. Some would say, "You guys were all wrong. Maybe He is never coming." But here is what the Bible says in response: "The Lord isn't really being slow about his promise, as some people think. No, he is being patient for your sake. He does not want anyone to be destroyed, but wants everyone to repent" (2 Peter 3:9). Forty-three years ago, I was praying that Jesus would come back. I would venture to guess there are many who are glad that God didn't answer my prayers because they have become believers since then. I also think that somewhere on earth is an individual who will be the last one the Lord is waiting for to put his or her faith in Christ, and the moment this person does so, the Rapture will take place. Peter continues, "But the day of the Lord will come as unexpectedly as a thief. Then the heavens will pass away with a terrible noise, and the very elements themselves will disappear in fire, and the earth and everything on it will be found to deserve judgment" (verse 10). If you really believe that Jesus is coming back, then it should impact the way you live. And if it doesn't impact the way you live, then you are completely missing the point.